It use to drive me insane when I tried to edit my shape, and the glaring bright light made it impossible to see my avatar’s features! I also was not a fan of the ‘edit’ pose, cos I prefer to use my own poses — even when I’m editing jewelry or clothes. A few years ago, I think SL introduced a feature in the official viewer (and maybe TPVs too), to uncheck going into the automatic position for appearance and build/edit. I’ll show you guys how! I had assumed that many people already knew about this lil’ feature, but I asked my friends and some of them didn’t know. I’m using the official SL viewer, with the Starlight skin, so the instructions are for this viewer only, but it’s probably similar in TPVs. Go to Preferences -> Move/View/Display tab -> Move/View tab -> find Automatic position for: Build/Edit and Appearance, uncheck Appearance. I have Build/Edit unchecked too, but just the Appearance controls Editing Shape. Now let’s talk about the bright light! I actually accidentally discovered this, when I asked my friend if she had the light and she said yes, since I haven’t seen it myself in years. What I discovered was that, with low graphic settings, you will get the light when editing appearance, cos “Advanced Lighting Model” is disabled/unchecked. Go to Preferences -> Graphics tab -> make sure your graphics Quality is higher than Low, Advanced Lighting Model should be checked. That’s it. It’s usually on by default, if your graphics quality is Medium to High. 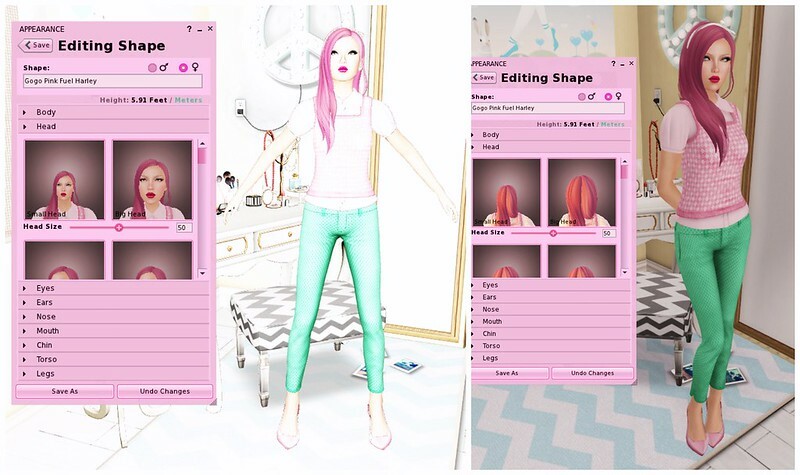 Since the introduction of mesh clothing, I like to stand on my pose stand, change my outfits, and adjust my shape to fit the clothes without going into the editing pose! It’s sooooo useful, I hope this helps you guys too! Huh, I didn’t realize this lighting was attached to ALM. Thanks! i have firestorm….i never seen the light….lol….before firestorm i had phoenix……ever since i discovered phoenix/firestorm i have never used the second life viewer….. I don’t see the light either and i have never used ALM (5+ year old graphics). I believe its my windlight setting that makes it not show up. Its hard to remember as i have had it disabled for almost 5 years now. But i also always run with local lights off, so that may be whats really doing it.